I can't seem to find the diagram/part # for the bracket between the rear of the triangulated shock tower brace and the cowl/firewall? Auto's Remains a Single Piece Brace. 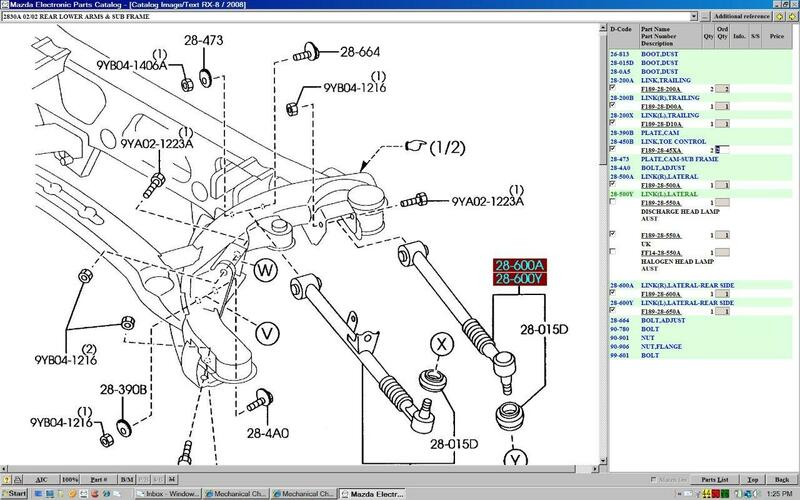 Mazda's EPC 'description' is not always accurate, p/n's usually are. The 4 standardized nuts 9994-00-801B look to be correct by p/n too. Also in this case the B on p/n end means painted nuts in Black colour. Thanks Ash. I did look at that EPC screen before starting the thread, but failed to recognize the part. Yeah it can be a PITA (EPC parts locations) as the Japanese keep changing their minds every few years. 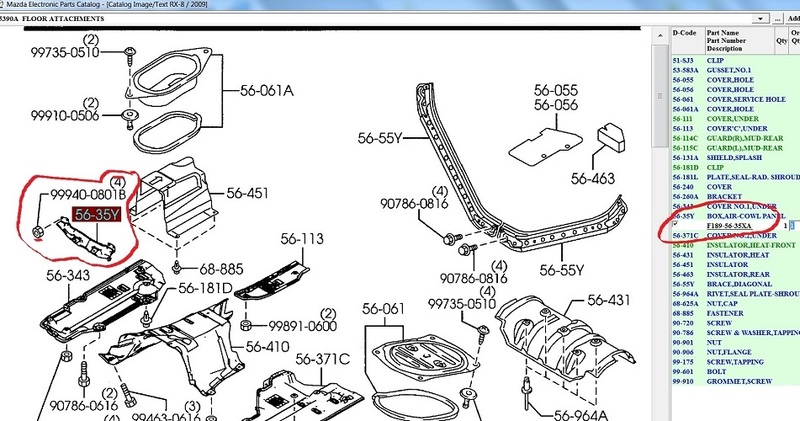 BTW: This bracket (F189-56-35XA) is Series II specific (F189) which also confirms the part. Last edited by TeamRX8; 04-29-2015 at 08:58 AM. Did you measure the axle diameter? This is what I have...??? 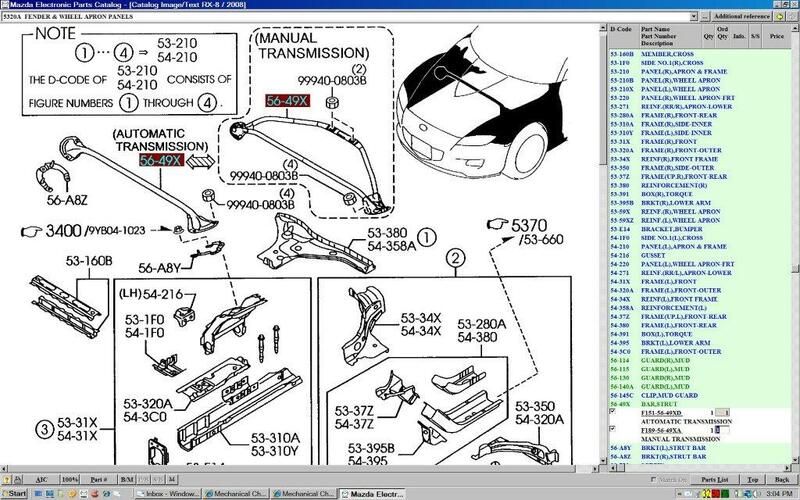 It is a bit like front lower control arms (Wishbones) between S1 and S2, different PNs. 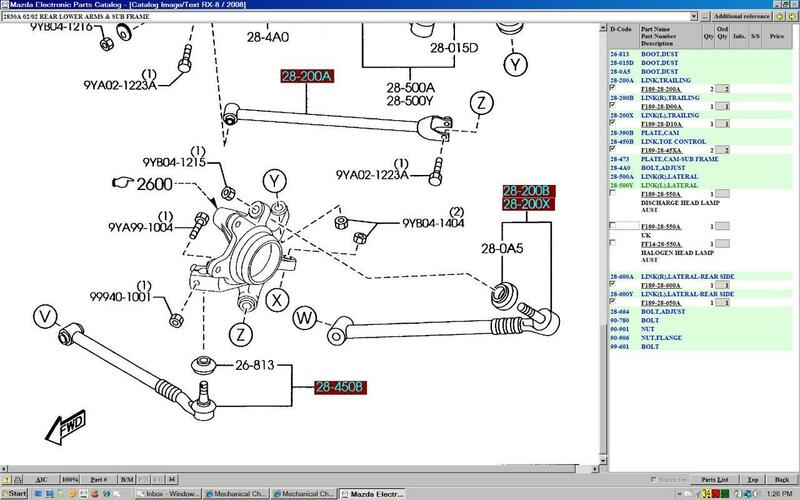 Same with NC, different part numbers. When I compare NC and S2 lower front wishbones there is no difference in physical appearance, none, they even use the exact same bolts and nuts (PN) to mount in every 3 positions, but where the difference is in the bush (rubber insert), again identical to look at between the two but the rubber compound is harder in the S2 when compared to the NC. 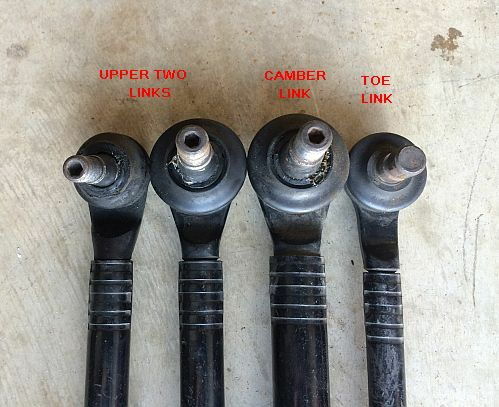 Mark post a pic of your old S1 link @ ball joints and I will compare again with what I have. I physically compared the actual arms of each directly myself. They are not like that comparison at all. 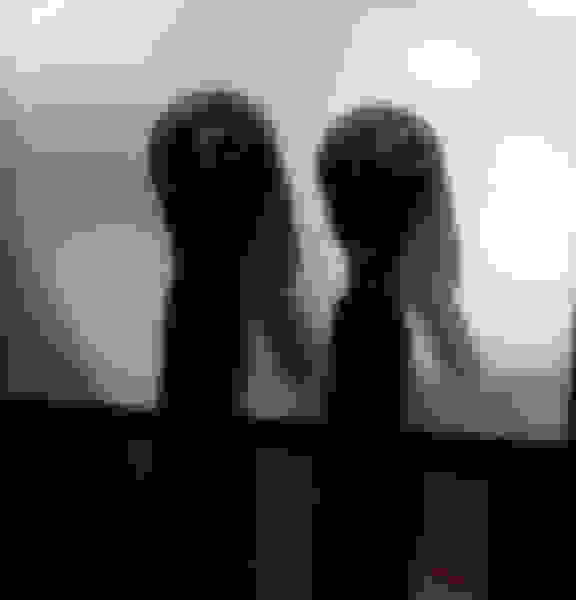 My S1 arms look like the one on the left. Those may be non-Sport links or something. I have a 2005 6-port/speed Sport-Suspension Base model (no DSC, 12/2004 build date). 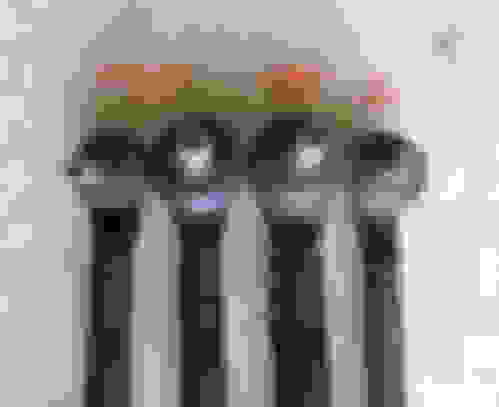 Even on the toe-control links the head and bushing ends are the same, just the larger OD center tube on the S2 link. S2 arms are all installed. bushing durometer or internal design could be different, grease in boot could be different, paint spec could be different, steel type or treatment could be different, supplier could be different, etc. Almost anything can result in a Part # change. Last edited by TeamRX8; 04-29-2015 at 07:46 PM. I can. Didn't think to since I don't have S2 axle assemblies to measure. Last edited by TeamRX8; 04-29-2015 at 07:41 PM. Mark, post some S1 axle pics showing where you took/take your measurements from and each of the diameters in mm, I can post what the S2 sizes in same areas, from memory I think it is about 1 or 1.5mm larger in diameter for the manual transmission S2 RX-8's, with no changes for the Auto's. Have not got Mazda epc handy at the mo. The rear wheel bearing size (part no.) are identical inner and outer race at rear alloy hub, even though these hubs themselves were upgraded for the S2. 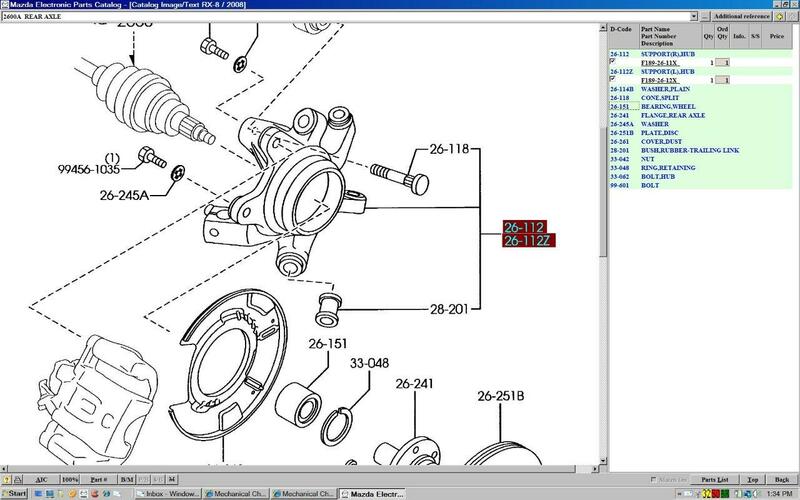 and afaik internal Diff spline coupling are the same. Axle Boot, Clip and Grease kit packs have changed for S2 MT's. When I looked at an axle last night there were so many different diameters I just said screw it. Did mean to take a pic of the S1 rear link ball joint ends and it slipped by me. Will do another time. F If I K Then...? Here is a S2 right side (the longest one) (Manual Trans) Drive Shaft I have, MA06-25-50X, where do you want to measure again..
Hey Ash, 9K, Has anyone compared front springs between S1 and S2 yet? Can't seem to find anything. My S2 seems to sit higher than my S1 with Koni yellows on the S2 and the stock S2 shocks on the S1. I just switched the shocks between the two front setups. As OEM replacements all the part numbers are different between S1 and S2 Shocks and Springs front and rear, sorry I have not physically compared between S1 and S2. I have only compared my S2 Tokico (Sport) between S2 Bilsteins (R3) and also my NC2 MX-5 (Miata) Bilstiens. From what I can recall from discussions years ago in here with Mark (Team) is the S2 Fronts will fit OK on S1, but the rears have/use a slightly different perch position of the Spring to the rear tower bodywork area. In MY S2, I have compared my OEM Sport (Tokico) set up for my 18 inch wheels to the S2 Bilstein shocks (which I have as new spare parts) for 19 inch wheels. All I can tell is the alloy Spring perch plate position on Bilstein shocks are just under 1/2 inch difference for the larger 19 inch R3 wheels between the perch plate and the lower shock mount eyelet bolt. I don't have the Springs to compare. As for Koni, sorry cant help. Thanks, Ash. I guess I will have to pull one spring off of each car and compare and may do a little measurement otherwise to see why the levels are different. I know Jason Isley (Ullose) said years ago when he was winning the SCCA Solo championships, that he had accumulated a number of stock springs and selected the shortest for his car as there was that much difference in tolerences. It may be a little while, but I will report back with my findings for clarification.